About the illustrator: Claire Keane was an animator on the movie Frozen. Her grandfather is Bil Keane, creator of the cartoon, Family Circus. With two loving hands, an adoring mother cradles her baby after bath time and a devoted father lifts his newborn to look into a nest. Sister, brother, grandma, and grandpa all can't wait to share what they love best with their newest family member. And when it is time to step out into the world, this caring family is right there alongside their littlest one. 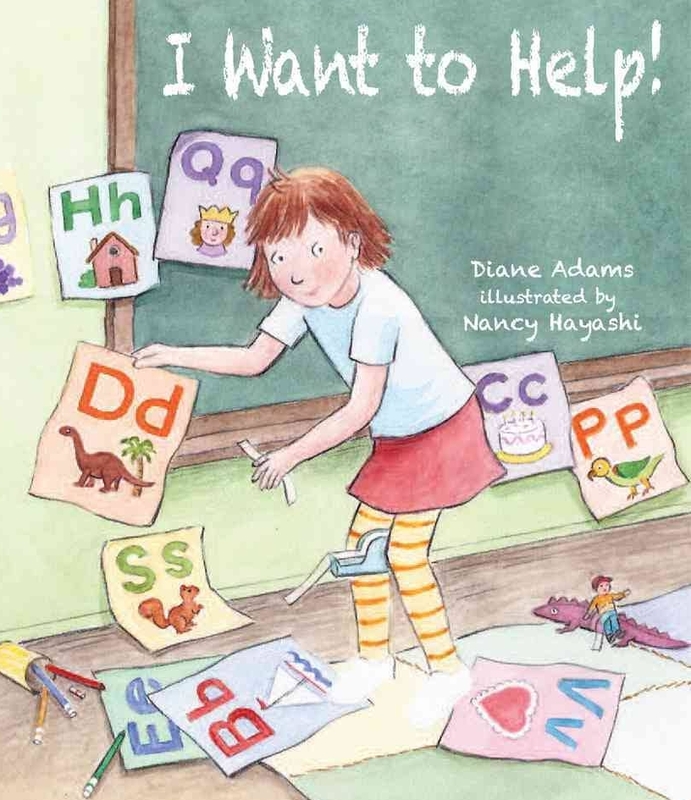 In simple, heartfelt language, this soothing picture book for the very young will tug at the heartstrings and remind us all of the caring hands that helped us along our way. 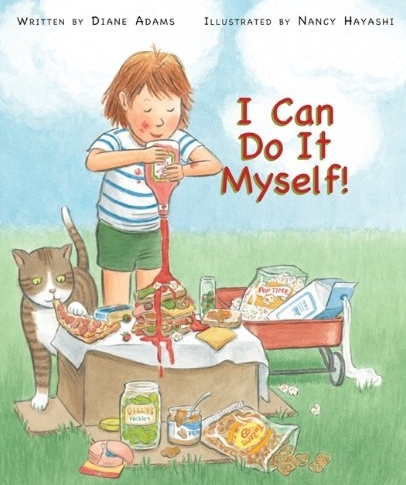 I CAN DO IT MYSELF! and I WANT TO HELP! Emily Pearl already knows a lot. She can count to fourteen. She can write her own name. She can tell what is different and what is the same. And she's still quite sure she can do things herself. Not only that, she wants to be the perfect helper for her new teacher, Ms. Glenn. But while Emily is mastering all sorts of skills, she does need a little help herself every now and then - especially at the end of the day, when she's waiting to get picked up and is just a little bit scared. Emily Pearl is a very big girl. She can pour her own juice. She can tie her own shoes. She can feed her goldfish. She can even curl her own hair. Whenever her mother tries to help, Emily says, "I can do it myself!" But even a very big girl like Emily can sometimes feel a teeny bit small, especially at bedtime when dark shadows creep across the walls of her bedroom. Lucky for Emily, her mom understands and gives her a helping hand. 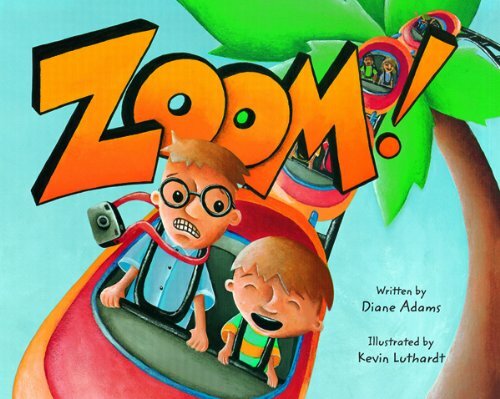 Young children will surely recognize themselves in Diane Adams's delightful, rhyming story of one child's determined quest for independence. Nancy Hayashi's charming illustrations complement the text, colorfully capturing the chaotic ups and downs in the life of a preschooler. Click-click-clacking up the track. Sinking lower, peering back. Slowly climbing to the top. Edging closer toward the drop; A timid young boy joins his eager father for a ride on a roller coaster. After zigzagging through the line, the pair boards the DinoCoaster for a fast-paced ride that takes them lurching and tilting upside down, round and round. When the roller coaster finally comes to a stop, the excited young boy is ready for another ride, but his queasy father has other ideas. Salty is searching for a habitat; Salty is searching for a home. Join Salty as she searches for a home that is just right for her! Learn what a habitat is and how important it is for Salty to find the right one. You will meet other wildlife that live in habitats around Salty, so enjoy the adventure with Salty as she finally finds her home in San Francisco Bay! A Home for Salty is available at: Retail price $6.99 plus tax.